In 1980 in Trieste, Roberto Vidali, Antonio Sofianopulo, Oreste Zevola and other dreamers, give life to a new magazine of information and theory dedicated to contemporary artistic expressions, free from the institutional logic of its time. 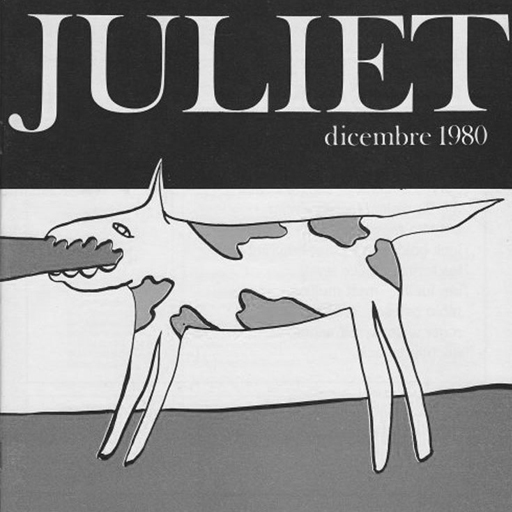 Juliet have always been publishing catalogs and monographs, books and extra issues, in addition to organizing major exhibitions, including Luigi Ontanti, Jan Knap, Piero Gilardi, Maurizio Cattelan. Since 2013, the bi-monthly print magazine is accompanied by an online magazine regularly updated, rich of in-depth articles and interviews. Collaboratori online: Elisabetta Bacci, Sara Buoso, Magali Cappellaro, Alessia Cervelli, Sara Cirillo, Simone Costantini, Lea Ficca, Andrea Grotteschi, Andrea Guerrer, Vanessa Ignoti, Silvia Ionna, Guido Luciani, Emanuele Magri, Luciano Marucci, Annaida Mari, Domenico Russo, Simone Santarelli, Giuliana Schiavone, Davide Silvioli, Benedetta Spagnuolo, Greta Zuccali.